How to buy and send wine from the USA? We have a great message for you. We have obtained a license to ship alcohol! So we can offer our dear customers another great service. In today’s article, we’ll explain how the process works, where to buy wine, and why you should order it from the US. Ordering and forwarding US wine or any other alcohol works essentially the same as with other products. The difference is just in the carrier delivering the goods. Alcohol cannot be sent, for example, through the USPS due to restrictions. 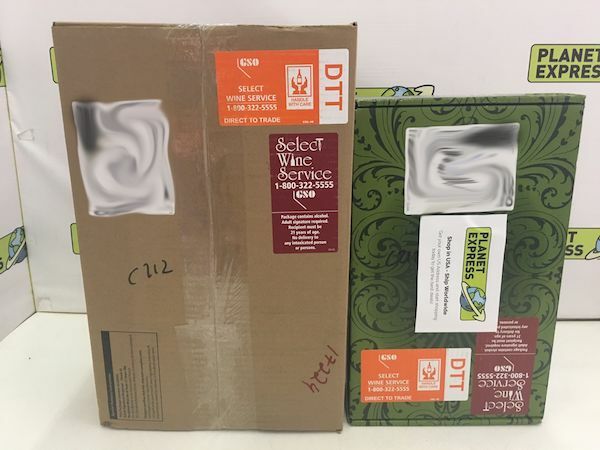 Packages with alcohol are delivered by DHL. As for prices, it remains the same as for other goods (you can calculate it in advance using our postage calculator). However, it depends on the size of the package and the weight. In order to transfer goods from the USA to the other parts of the world, you need to set up an American address. After adding the $ 5 deposit (we require to prevent fraudsters), you will be assigned a unique number “#A1234”. No worries, the first deposit is not a fee, it will be used as a shipping credit on your first package. Then, just use your US address to order the goods from one of the stores below and wait for the goods to be delivered to that address. Once we receive your package we will notify you via email. Then you just choose an address and the delivery method in the administration. And that’s all. There are hundreds, maybe thousands of wine shops in the US. We have selected 10 online stores for you to buy wine. Together, the offer is really wide, you can choose from several tens of thousands of wines! Why Shop Wine In The US? The question is why you should buy a wine in the US when you have a lot of wine to choose from at home. The answer is simple – Why not try the wines produced on the American continent? In the United States, there are plenty of quality producers (you can find the list of producers on wine-searcher.com website) who produce tastefully excellent wines.